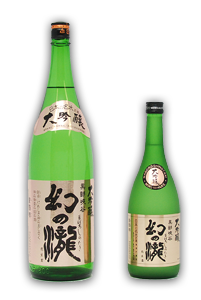 Brewed with full-of-mineral spring water, Daiginjo Maboroshinotaki has firm flavor and light texture. By our Brew Mister, Kuwabara Toshiaki, creates soft but firm dry taste and and slight elegant fruity Ginjyo aroma in it. Best served with fine food.